The Lois Orange Ducoeur Breast Cancer Walk raised $4,500 for the PBCC! 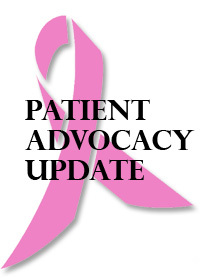 Posted By PA Breast Cancer Coalition on January 27th, 2011 at 12:36 pm | 1023 comments. 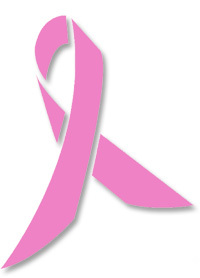 Since 2003, the Lois Orange Ducoeur Breast Cancer Walk has taken place in downtown Charleroi, PA. The 1-2 mile fun walk takes place annually in October and raises funds for the area’s local cancer center and awareness initiatives. Named for one of the community’s original business owners, Lois Orange Ducoeur, this year’s event raised nearly $9,000. 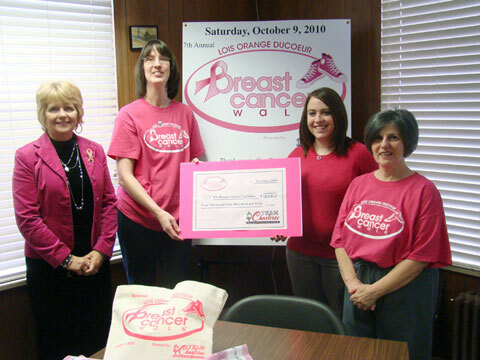 The Team Charleroi Business and Community Alliance, an organization operating in conjunction with the Mon Valley Regional Chamber of Commerce presented a monetary gift of $4,450 to the PA Breast Cancer Coalition on January 25, 2011. Thanks to efforts of its Grassroots Partners, the PBCC is able to keeps it doors open and offer services to the women and families fighting breast cancer in Pennsylvania. Thank you again to Team Charleroi for their efforts! Do you know a breast cancer patient who needs a wig? Posted By Dolores on January 10th, 2011 at 10:47 am | 7710 comments. Crickett’s Answer for Cancer is a York, PA-based non-profit providing wigs, head coverings, massage therapies and pampering products for breast cancer patients. Bonnie Julius and Carole Trone founded the organization as a loving memorial to Crickett, Bonnie’s daughter and Carole’s cousin and good friend. After their devastating loss, they decided to fund those things that others might think are frivolous or unnecessary. Their goal is to provide women with hope, inspiration and and the support they need to celebrate their own lives every day, as Crickett did. She saw each day as an opportunity to live life to the fullest and to celebrate the gift of life. To request services, visit www.crickettsanswerforcancer.org. After completing a simple application, you will be referred to a vendor or service provider in your area for the items or services. Crickett’s Answer for Cancer will pay 100% of the cost directly to the vendor on your behalf. You will have no out-of-pocket expenses. I first learned about this remarkable service when my sister-in-law in North Carolina was able to get a wig through them during her breast cancer treatment. Since then, I have been happy to include Crickett’s Answer for Cancer in our list of resources for the women who call us for help. PA Farm Show, Here We Come! Posted By PA Breast Cancer Coalition on January 6th, 2011 at 9:10 am | 104 comments. Our 67 Women, 67 Counties: Facing Breast Cancer in Pennsylvania traveling photo exhibit will be on display for the nearly 400,000 visitors to view! We will have a PBCC table which will be staffed each day of the show from 10 a.m. to 4 p.m. with lots of materials and helpful information. If you’ve ever been to the Farm Show, you know that TONS of people pass through the complex each day, which means we needed to pack up lots and lots of information and giveaways to hand out! This is one of those times when the staff really appreciates our volunteers. To prepare for the big event, Dennis and Gene, two of our regular office volunteers, counted out stacks and stacks of brochures, newsletters, fliers, pens, wristbands and plastic tote bags! Then they boxed up an assortment of things for each day of the event so we are sure to have items left toward the end of the week. This was a very tedious and time-consuming job, yet Dennis and Gene did it without a single complaint. Thanks, guys! We really appreciate your help. So if you’re planning on coming to the PA Farm Show this year, please check out our photo exhibit and stop by the PBCC’s info table to say hi and pick up some info or a freebie or two. We have plenty ready for you! Posted By Dolores on January 5th, 2011 at 10:02 am | 295 comments. Today is only the third working day of 2011 and we have already talked with three women, all with different issues they need help with. One hasn’t had a mammogram in several years and has no insurance, another is a Medicare patient overwhelmed with co-pays for medical bills, and another is paying over $1,000 a month for insurance due to a pre-existing condition. 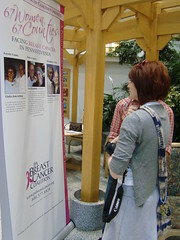 This past year, 75 women with breast cancer, or their friends or family members, called the PBCC for help. Often they sounded exhausted and told us that they’d already tried a number of other places and expected that we wouldn’t be able to help them. That just makes us more determined to find the resources they need. Usually, we find that the information included in the Friends Like Me care package answers all of the questions a survivor may have. But all the recipients we talk with say that the phone call is one more reminder that she is not alone, the PBCC is here for her. Posted By PA Breast Cancer Coalition on January 4th, 2011 at 9:02 am | 961 comments. One of the most commonly-requested items here at the PA Breast Cancer Coalition is a list of shops and boutiques across the state that sell wigs, prostheses, and other breast cancer-related items. For many women who have been newly-diagnosed, this is one of their first questions. We currently have a list of about 20 boutiques, shops, salons and websites that sell various products geared toward cancer survivors. They are located from Allison Park to Abington, from Latrobe to Lancaster, and beyond! If you know of a boutique or shop in PA (or a website with an online store) that sells mastectomy products and/or wigs, please comment below with the name of the company or its website and we’ll investigate it. If it meets our criteria, it’ll be added to our resource list. The more we have on our list, the better the chances that one of these shops will be within driving distance of each woman who needs to purchase something! 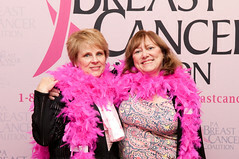 Thanks for sharing your finds with the 103,000 women in Pennsylvania battling breast cancer!